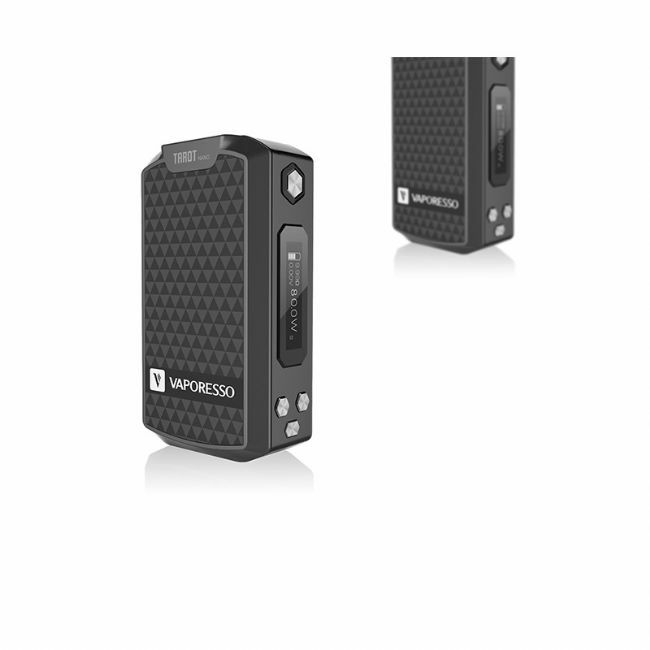 Vaporesso Target Mini Kit - Black uses a built-in 1400mah battery, and even if it's small, it comes with a convenient display and buttons that allow to personalize your vaping experience. 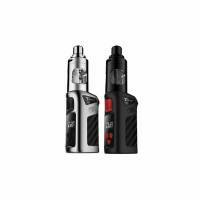 Vaporesso Target Mini Kit - Black is a compact smart starter kit with an eye-catching design. It is handy and has temperature control, variable wattage up to 40W and airflow regulation in addition to two anti-baby lock systems. 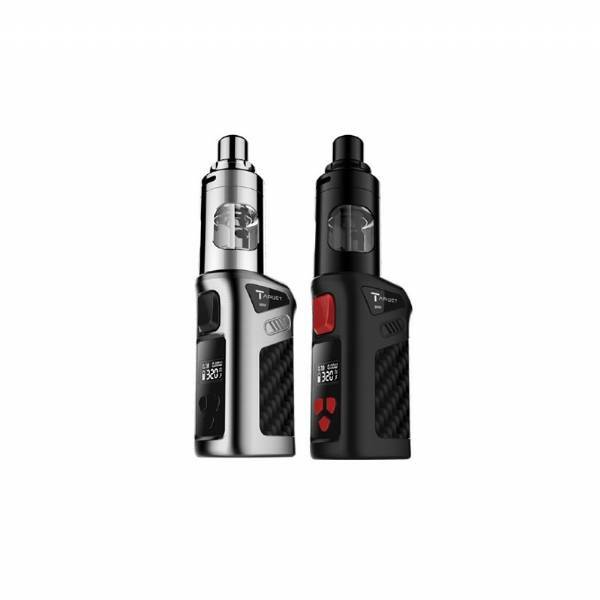 The Target Mini Kit combines the Target Mini Mod and the Guardian Tank, the Ccell Ceramic Coil, a 1400mah internal battery and a patented Ccell ceramic coil, built-in 1400mAh battery a branded USB cable and everything you need to get the ultimate vape experience. Revolutionary tank design to avoid liquid leakage. Charge the liquid: Pull out the drip tip and unscrew the cap, then inject the liquid into the tank. Drop a few drops of liquid on the atomizer head prior to its first use to prevent dry burns. Charging the Battery: Recharge the battery using the supplied battery charger. Once connected, the battery level indicator will show progress. Airflow Adjustment: Rotate the ring on the atomiser cap clockwise or counterclockwise to adjust the airflow.